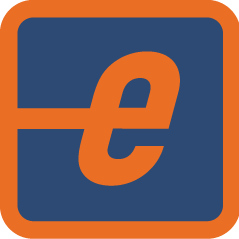 eSchedule is a customizable web-based scheduling application for EMS and Fire administrators. What Emergency Medical Services solution do you use? ImageTrend EMS Critical Care provides intuitive solutions for EMS and Critical Care providers and is designed to make electronic documentation easy. emsCharts provides an agency with a true Intranet - a web site dedicated to improving the information management for an organization. Complete platform for all your EMS agency software needs. Designed for any size police, fire or emergency services department, 2 units to 200. TripSpark's NEMT Software for providers automates dispatching, booking, scheduling, billing, reimbursements and more. (i.e. non emergency medical software). Our Phoenix EMS product provides the most advanced patient care reporting featuring call details, basic patient info, history and assessment to interventions, document and photo attachment, transport and billing. * We monitor all EMS eSchedule reviews to prevent fraudulent reviews and keep review quality high. We do not post reviews by company employees or direct competitors. Validated reviews require the user to submit a screenshot of the product containing their user ID, in order to verify a user is an actual user of the product. Hi there! Are you looking to implement a solution like EMS eSchedule?